As we roll into tax season, international students all over the country will be looking for guidance on whether they need to file anything, what and when they need to file and whether they will get any money back. The tax center on InternationalStudent.com is designed to answer as many tax questions as possible, see more below. We have also had a great reception and response to our new featured school packages, now starting at $1,995 for a full year’s exposure, unlimited content and unlimited student leads on InternationalStudent.com. This month we are offering a free webinar to help you choose the right package and maximize the return you will get from it. Hard to believe that registration for the NAFSA Annual Conference in San Diego has opened up, it sneaks up on us every year. We’ll share more about our NAFSA plans next month! Most international students, scholars and dependents are treated as non-resident aliens for tax purposes, which means they need to submit Form 8843 to the IRS. And if they have received any income, they will also need to file a tax return with the IRS - typically the simplest form, Form 1040NR-EZ, will work, but more complex situations require other forms and additional analysis. The best news is that if they have paid any federal income tax, they will likely get it back. If you are helping international students and scholars complete their taxes this year, get a comprehensive overview at InternationalStudent.com’s Student Tax Return section. Last month we highlighted our new Featured School offering, with four standard levels starting at $1,995 for a year’s worth of exposure on InternationalStudent.com, making them affordable for any budget. We also offer packages that offer email marketing, translations, social media marketing, banner ads and more. So what package and options meet your goals and are right for your online strategy and budget? Sign up for our upcoming webinar and find out. During the Webinar, we will discuss the different options, how many students you can expect to reach, as well as how to manage your school’s profile and update your school’s information throughout the year so the content stays fresh. We will discuss the best content for the site, including videos, photos, program descriptions, student profiles and other content that can be added to the profile. We will also discuss best practices in managing the inquiries that come through your school’s profile. Webinar: Which Featured School Package is Right for my School and Budget? Space is limited, so sign up today to reserve your spot. Cannot attend the webinar but interested in learning more? Contact us to schedule a time that works for you. Understanding insurance plans and terminology can be quite complex, especially for international students. Most international students come from countries with nationalized healthcare. However, in the US things are not so simple and healthcare costs can be very expensive. 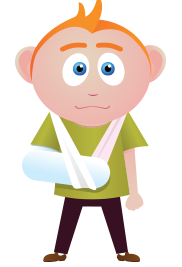 Knowledge of the US healthcare system can help prevent students from incurring large medical expenses. Please feel free to share this resource with your international students. Since 2011, Twitter Bootstrap has been one of the most popular front-end frameworks on the web. 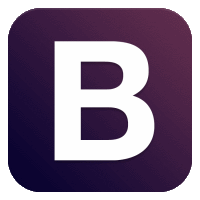 With the release of version 3, Bootstrap has given developers and designers even more powerful tools for developing great looking sites on mobile. One of the most impactful new features of Bootstrap 3 is a more powerful, four-tier grid system. Check out the latest Tech blog post to see how we are using the grid system and other new features to transform our sites to look great on any device, from smartphones to desktops.